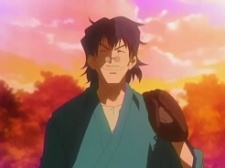 Ueki's adoptive father. He is a writer and likes anything weird or unusual. Rather than being shocked or scared at peculiar things, he shouts in excitement. He also enjoys sports very much. Extremely energetic. He often says, Reality is Stranger than Fiction!